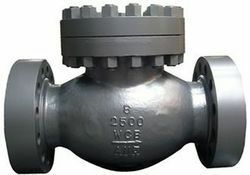 We are a leading Manufacturer of class 2500/1500 globe valve, class 2500/ 1500 check valve, class 2500/ 1500 gate valve and class 2500/ 1500 ball valve from Coimbatore, India. 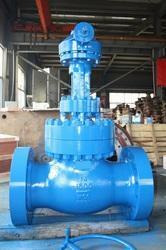 Design Standard: BS 1873, ASME B16.34. Nominal Diameter: 8 Inch (DN200). 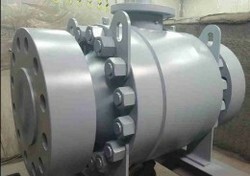 Product RangeBody Material: Carbon steel, Stainless steel, Alloy steel. Operation: Handwheel, Gearbox, Electric, Pneumatic. 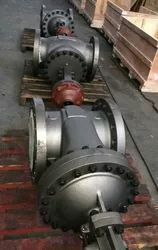 Valve Size 2" to 12"
Material Main material: A216 WCB,WCC; A217 WC6,WC9,C5,C12,C12A,CA15; A351 CF8,CF8M,CF3,CF3M,CF8C,CN3MN,CK3MCUN,CN7M; A352 LCB,LCC; A494 CW-6MC,CU5MCuC,M35-1; A890 4A(CD3MN),5A(CE3MN),6A(CD3MWCuN); ASME B 148 C95800,C95500, etc.